Offering professional recording and producing services for all project levels, from solo artists to full bands. Using only good sounding gear and experienced engineering skills to capture your music. Recording through high-end computer based system with Nuendo and RME gear for superb multitrack recording, complemented by a great mic selection. 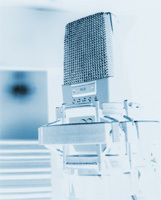 Mobile on-site recording also available on a more limited basis. Please see our gear page above for a complete list of available tools. The next critical step in music production. 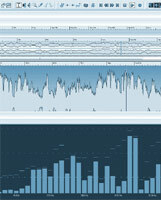 Our mix service will bring your multitracks to life and make any project sound better than you thought they could. 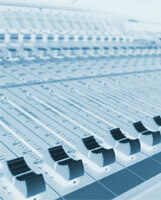 Mixing is a careful balance of technology and artistry brought together to enhance your sound. This process will make your songs sound fuller, more defined, spacious, cleaner and more like a produced cohesive project. We offer examples of past projects, everything from opera, jazz, classical and folk pieces to rap, electronica, rock, metal and industrial. The final step in the production process. This step works just with your final 2-track stereo mix to give that polished touch to your song. Employing multi-band compression, EQ and other special tools to make your track sound even wider, more punchy, sparkly and overall louder to compete with other professionally produced albums out there.